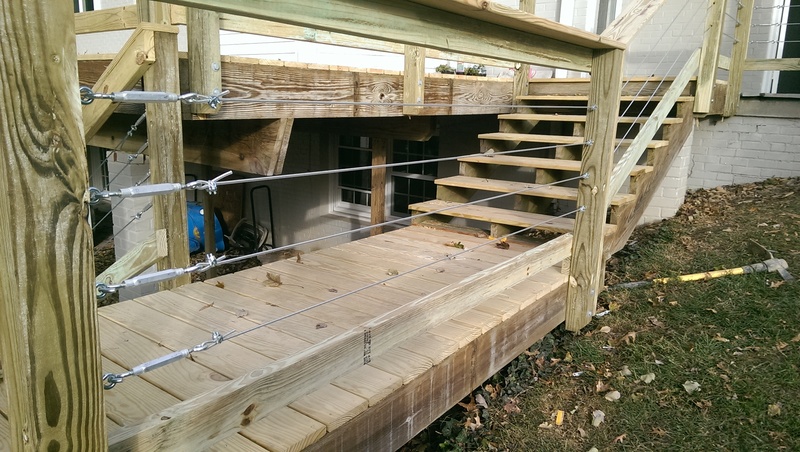 At EnviroBuild we specialize in modern deck building and design, servicing Maryland and Washington DC. Whether you have an old deck needing a face-lift or if you want to construct a new deck, we do it all. Our design team can give you ideas to fit your budget, selecting materials and style that fits you best. Some homeowners want the traditional look of a treated wood deck, but some envision their deck to be more modern with high grade materials like Composite or Teak. Whatever your vision is, we can bring it to life in an affordable and professional way.